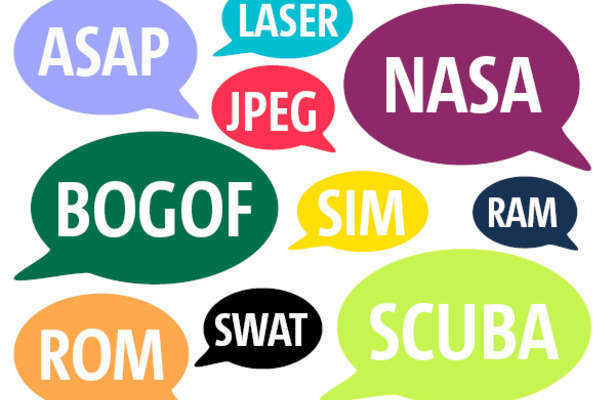 Today's world is full of acronyms - LOL!, ASAP!, WWJD? So why not one for research? A creative college librarian created a memorable acronym for students doing research called the CRAAP test. 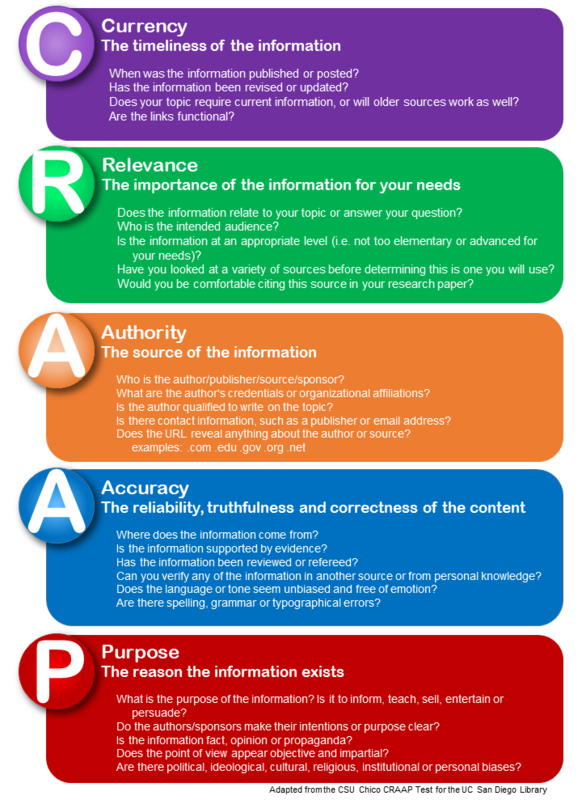 Now, we aren't trying to be crass, but the CRAAP test is used to help guide students through the process of evaluating sources - all sources – print, web, and yes, even databases – because there’s a lot of … stuff (ahem, ahem) ..out there. We think you know we’re talking about. Evaluating sources is one of the most important steps in the research process, and yet students spend the least amount of time (if any) critically thinking about their sources. Evaluating sources before selecting them will help you save time and will help yield the best possible sources for your research paper or project. Use the tools below to walk you through the process. Give this memorable acronym a try! We’re pretty sure you won’t forget it. What does it mean to use "scholarly sources"? It means your teacher wants you to use sources written by an authoritative, credible author or organization. The credibility of an author is very important in determining the quality of the sources you have located and are thinking of using for your research project. What makes an author credible? Degrees, achievements, experience, research, etc. There are several ways of determining if an author is credible depending on the type of source. However, the strategies used for books, articles, and websites can also be used for other types of sources. and back cover of the book for information on the author's credentials/areas of expertise, etc. Check to see if the author is listed. catalog, Google Books, or Amazon to find other books by the author. will usually include his/her credentials or affiliations. You will also see references (footnotes, endnotes, etc.). Who is hosting the website? Is it a .com, .org., .gov.? appropriate article database. Is the site regularly updated? citations is a good indicator that the author is credible). to an author's profile. Search the IndyPL catalog to see if the author has written any books. Look for biographical information on the Internet. Information from Georgina Martorella "How Can I Tell If an Author is Credible?" Hofstra University Library. Does Your Source Pass the CRAAP Test?